The area surrounding the High Bridge Trail is steeped in history, and before arriving, it is worthwhile to brush up on Civil War events in order to best appreciate the role the region played in the war. Appomattox, where Lee surrendered to effectively end the Civil War, is nearby. The High Bridge, for which the bike trail took its name, was the site of a battle leading to Lee’s defeat. At more than 2,400 feet long and 125 feet above the Appomattox River, High Bridge is one of the longest recreational bridges in the country and is a Virginia Historic Landmark. 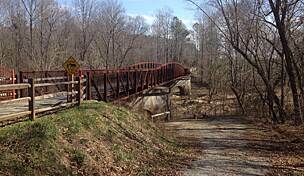 The High Bridge Trail (HBT), which follows the former rail corridor of the Norfolk Southern Railway System, travels nearly 33 miles from Pamplin to Burkeville, crossing the bridge about 6 miles south of Farmville. This delightful trail provides a quiet ride through a heavily forested corridor. While it is possible to bike the HBT in one day, our itinerary breaks up the ride over two leisurely days. 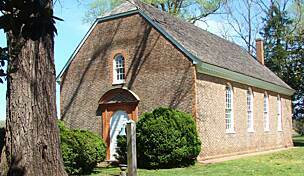 Our base for this itinerary is the quaint town of Farmville, located about halfway along the trail. This town of about 8,000 residents is home to Longwood University and nearby Hamden-Sydney College, as well as being the site of a monumental student protest during the Civil Rights Movement. Today the town draws thousands of visitors to the newly opened High Bridge Trail, as well as to the many downtown furniture sellers that are housed in renovated tobacco warehouses. These enormous shops sell contemporary furniture at competitive prices and have made Farmville a destination for shoppers. Lodging options are limited in Farmville, especially around college graduation time. If your plans bring you to the area at this time of year, it is imperative to book a room as early as possible. We recommend The Inn on the Avenues. A small B&B located in the heart of the town’s most historic neighborhood, each of the three rooms is spacious and has a private bath. The B&B offers a full gourmet breakfast and comfortable common spaces to relax. Another option is the Hampton Inn, which is located just outside of the downtown area. Bike rentals are available in Farmville at High Bridge Bikes. This full-service shop can help with any maintenance issues and rents cruisers and mountain bikes. 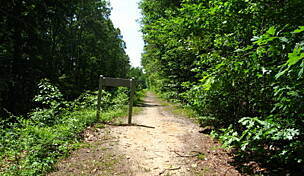 The Farmville trailhead on the High Bridge Trail is located less than 1 mile from The Inn. Any roads that head toward the river through town will take you there, but riding through Longwood University is the nicest route. Bike through the university’s campus and along St. George St. to the trailhead, located on the far side of the parking lot at the intersection with West 3rd St. Before starting out on the trail, be prepared with plenty of water, food, a bike repair kit and sunscreen because you won’t have the opportunity to get these things along the way. You can stock up at the Food Lion in the Longwood Shopping Complex, about 1.5 miles from The Inn. In the 1850s, the HBT was built as the corridor for the South Side Railroad, which ran from Lynchburg to Petersburg, passing through Farmville. The railway changed hands a number of times before becoming part of the Norfolk Southern Railway system in 1982. 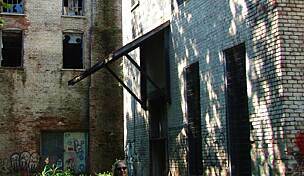 It became too costly to maintain and was abandoned; only recently was it converted for use as a multi-purpose trail as part of the High Bridge Trail State Park. As you bike the route, look for telegraph poles that were erected in the 1900s for the railroad’s signal system and see the original cement mile markers, the only remnants of the corridor’s former life. Head toward Pamplin City, about 16 miles away. From the trailhead in downtown Farmville, head west along the HBT. After leaving the town behind, the trail enters a shady wooded area, and the route provides a tranquil setting to take in views of farmland and interesting rock formations. You will not find a lot of crowds here, and there are no off-trail diversions. Restrooms facilities are available at the parking lot in the town of Prospect, about 10 miles along the trail, and you will find picnic tables scattered along the route. The HBT ends at the intersection with Heights School Rd. in Pamplin to little fanfare. 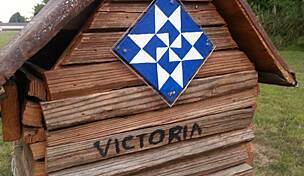 Return toward Farmville and stop to enjoy your picnic lunch at a shady trailside picnic area. Upon your return, enjoy complimentary late afternoon wine and hor d’oeuvres at The Inn (weekends only). Later, relax on the patio at Charley’s Waterfront Cafe, overlooking the Appomattox River. This is the perfect setting to unwind with a glass of wine and taste such popular dishes as smoke- and slow-roasted pork belly, cornbread and mozzarella or butternut squash and grits. Weekend visitors will have the added treat of live music performed by local musicians. Today’s route takes you approximately 17 miles along the trail over High Bridge and toward Burkeville. After packing your lunch and plenty of water, head east at the trailhead. This section of the trail sees the most traffic since many people park around here to ride the portion that travels over the bridge—before turning back. Closer to the bridge you will also find walkers who are coming from the River Road parking lot, which is about a 1-mile walk. On some days this area can get quite crowded, and biking on the trail can be a little difficult. Persevere knowing that once you are past the highlight, the bridge itself, you will find you have the trail virtually to yourself. 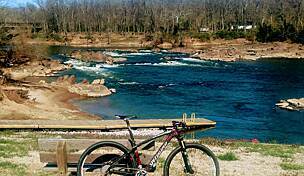 High Bridge is dramatic to bike over and offers stunning views up and down the Appomattox River. 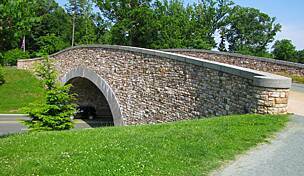 The bridge was the site of the Battle of High Bridge in 1865, which included two engagements in which both Confederates and Union soldiers alternately attempted to destroy the bridge to secure their positions. While damage was done (at the time there were two bridges here), the original High Bridge was left partially intact and was rebuilt after the Civil War. On April 6, 2012, 147 years after the Battle of High Bridge, the bridge was reopened once again in its new life as the High Bridge Trail. Learn more about this battle and events surrounding it on the Civil War Trail. This guide to sites around Virginia, including many in this region, help bring history to life. 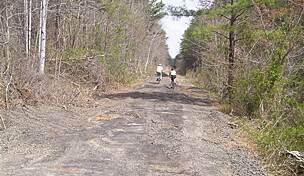 The remainder of the route to Burkeville provides a quiet, scenic ride through heavily forested areas. Similar to the other direction, there are no opportunities for food or beverage stops near the trail, so bring everything needed for the day. Don't forget the sunscreen! Despite the trees lining the trail, the hot mid-day sun will still find you here. The trail ends on the outskirts of Burkeville. At this point, if—despite best preparations—you find yourself in need of food or water, Burkeville does have a small convenience store about 1.5 miles away in the center of town. 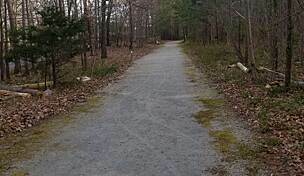 To reach the Burkeville Market, turn right off the trail and follow the road to 2nd St. Take the second right on Agnew St., the first left on to 1st St., the 4th right onto Road 697 and the first left on 2nd. Look for the market attached to the gas station. You shouldn’t expect to see much traffic along this route since most of the way is on residential streets. 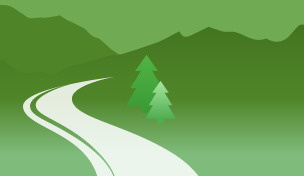 Retrace your path and return to Farmville. 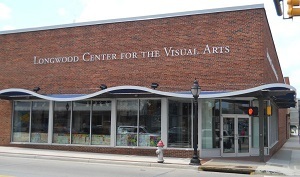 On your way back through the campus, stop at The Longwood Center for the Visual Arts at 129 N. Main St. This university museum houses an eclectic collection of art, including photography, sculpture and paintings. The university has been collecting art for over 100 years and displays their collection both in the museum and throughout the campus grounds. Other options for dining in Farmville include Macado’s, a Roanoke-based chain known for nostalgic decor and specializing in pub fare, such as burgers and club sandwiches. Or try Pino Pizza and Italian Restaurant, featuring everything from pizza, pasta and cheese steaks in a casual setting. If you have time to stay an extra day, you’ll find plenty to do. In nearby Appomattox Court House, the Army of Northern Virginia led by General Lee surrendered to Ulysses S. Grant and effectively brought about the end of the Civil War. Today, the site is run by the National Park Service and features a museum with a number of exhibits and many original artifacts, such as the pencil used by Lee to make corrections to surrender terms; a reconstruction of the McLean House, where the surrender took place; a theater featuring two documentaries; and a walking trail with notable sites highlighted. Visitors to Farmville might be surprised to learn that a monumental case in the Civil Rights battle took place here. The Robert Russa Moton Museum is located in what was the town’s racially segregated black high school. Overcrowded and with few resources, the school had dismal learning conditions. In 1951, students at the school staged a strike over the unequal educational opportunities in town and set in motion what would become the student protest birthplace of America’s Civil Rights Movement. The protest resulted in the case of Davis v. County School Board of Prince Edward County, which was eventually consolidated into Brown v. Board of Education. 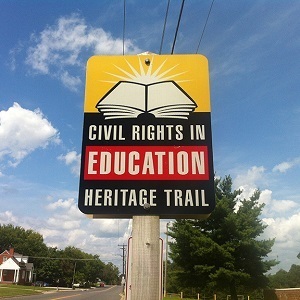 Today, the museum houses a number of artifacts and records surrounding this landmark case and is a stop on the Civil Rights in Education Heritage Trail. Twin Lakes State Park: A 495-acre park with a campground and cabins and offering swimming, fishing, hiking and boating. 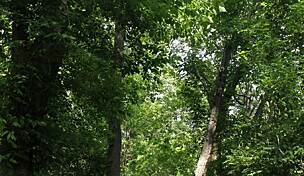 Holliday State Park: Located in the Appomattox-Buckingham State Forest, the park offers fishing, swimming at its guarded beach, several hiking trails, the 10-mile Carter Taylor Multi-use trail, campgrounds, a boat ramp and canoe and kayak rentals. Pocahontas State Park: One of the area’s most popular parks offering boating, camping, cabin rentals, hiking, nature and history programs and an aquatic center with water slides. Rentals of rowboats, paddleboats, kayaks and canoes are also available. 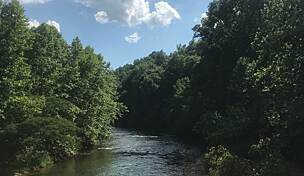 James River State Park: The park is situated in the foothills of the Blue Ridge Mountains and offers 3 miles of shoreline along the James River for swimming, fishing, boating, kayaking, canoeing and tubing. Rentals are available, as well as shuttle services. Bear Creek State Park: The park is located in Cumberland State Forest and features a number of activities centered on its 40-acre lake. Swim, fish or rent a boat to explore the lake.